Advancement takes place in the crew. Hence, Crew Leaders need the continued training from the Outfit Advisor at informal meetings of the Crew Leaders’ Council. The Scout prepares to meet the requirements for advancement, with the encouragement and help of his Crew Leader. This preparation is the natural outcome of the boy’s participation in regular Scouting Activities. The Scout may be examined by his own Crew Leader – provided this leader already has the badge the Scout is being examined for. Otherwise, another Outfit Adviser will have to give the examination. Passing the test is really a check – off process rather than a formal examination. It should be an actual demonstration of the skills involved and should conform with the interpretation of the various requirements as given. When the boy has completed all the requirements, his record is reviewed by the Crew Leaders’ Council. This group makes the recommendation to the Outfit Adviser based of their personal knowledge of the qualities of the candidate. The Scout must submit to a conference with the Outfit Advisor – a step so important that the Outfit Advisor should handle it himself unless limitations of time make it impossible. This conference should be informal. Its objectives are to determine the Scout’s understanding of the ideals of Scouting and how well he lives up to them in his daily life. It is an opportunity for the Outfit Advisor to counsel the boy for the next advancement badge. When you are satisfied that the boy is making satisfactory progress in Scouting, you sign his advancement scorecard indicating that he is ready to appear before the Board of Review. A Board of Review is composed of at least three adult friends in Scouting. They will ask the Scout questions on what he has done to earn the particular badge. Their objective is neither to test the Scout nor to embarrass him but to make sure that what should have been done was actually done by the Scout. The members of the Board of Review will ask enough questions to make sure that the Scout deserves the badge. 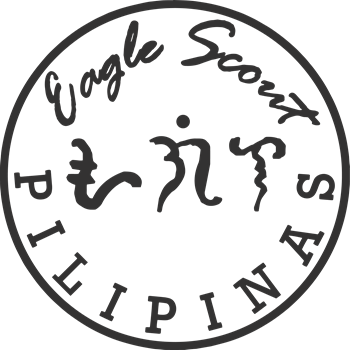 When the members of the Board of Review are satisfied that the Scout is qualified for the badge, his application form is approved. You, the Outfit Advisor, shall send the report to the local council office. Shortly, thereafter, the corresponding certificate will be sent to the Scout through you. It should be remembered that the review must be a friendly affair between the Scout and the members of the Board of Review who are interested in the welfare of the Scout. The boy should be put at ease and encouraged to talk. The review should develop the Scout’s confidence in the Scouters of friends of Scouting who are helping them. As soon as the Scout passes the Board of Review and the certificate arrives, an advancement ceremony or a Court of Honor should be arranged for the formal presentation of the badge and certificate. Parents and friends of the Scout should be invited. Make this ceremony as impressive and meaningful as possible. It’s a recognition of the Scout’s achievement in Scouting.